Laser Drivers optimize chemical sensor performance. Offering sub-ÂµA RMS noise, QCL Series minimizes linewidth, spectral drift, and center wavelength jitter. 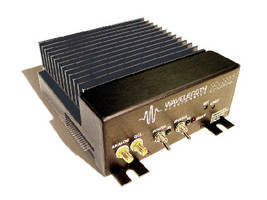 Quantum Cascade Laser Drivers feature 2-3 MHz bandwidth and rise/fall times of 250/200 nsec. Units drive up to 2 A of low noise current with current limit, slow start, brownout/reverse voltage/overvoltage protection, and remote or local current enable. 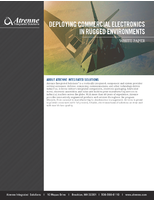 Designed as OEM controllers, drivers can be used in field-deployed systems or on benchtop. Minimize linewidth, spectral drift, and center wavelength jitter with low noise control electronics. The QCL Series of Low Noise Quantum Cascade Laser Drivers offers sub-microamp RMS noise. [0.7 mA RMS over 100 kHz bandwidth with the QCL1000 1 A driver.] 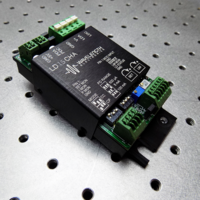 Designed as an OEM controller, it can be used in field-deployed systems or on a benchtop. Bandwidth is 2-3 MHz, with rise and fall times of 250 / 200 nsec. The QCL Series drives up to 2 A of low noise current with core safety features - current limit, slow start, brownout / reverse voltage / overvoltage protection, remote or local current enable. 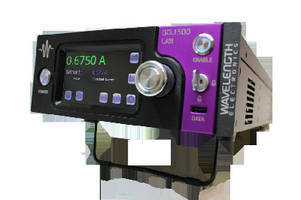 Even though it is lower cost than an instrument, it is smaller and offers significantly better performance. 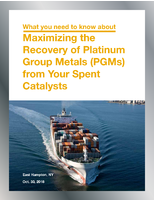 Application notes and free technical support help you minimize noise in particularly demanding applications. Wavelength Electronics has simplified advanced laser diode drive and thermal control technology for OEM and research applications since 1993. Our high performance specifications are supported by a team of experienced sales and design engineers and a top-notch manufacturing facility. Evaluation quantities are typically available from stock. 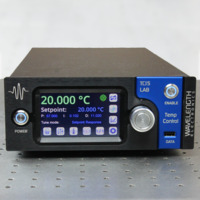 To learn more about the QCL Series Low Noise Quantum Cascade Laser Drivers and Wavelength's complete line of high precision, low-noise, ultra-stable laser diode drivers and temperature controllers visit us at Photonics West, Booth #2200 in the South Hall, or www.teamWavelength.com. 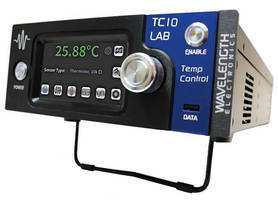 15A / 20V Digital Temperature Controller comes with intuitive touchscreen front panel. Digital Temperature Controllers enable tight, remote monitoring. Quantum Cascade Laser Drivers feature low noise technology. Temperature Control features PWM circuitry. 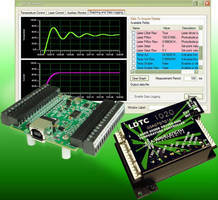 USB PCB Kit and Software support LDTC and PTC PCB models.